Digital marketers need to track metrics across channels like lead generation, website, email, advertising, and social media. 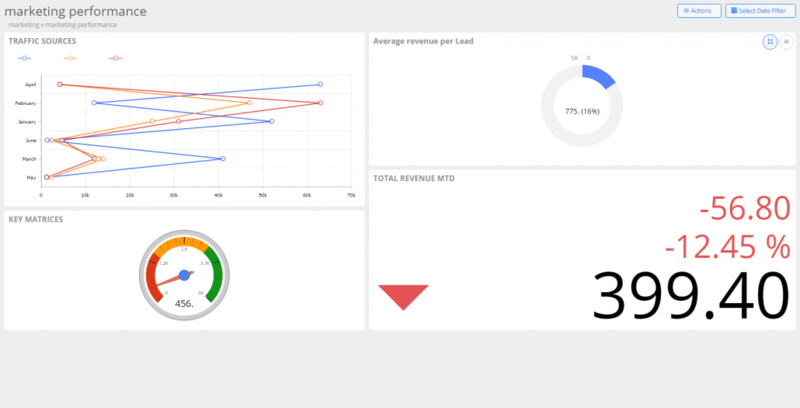 This marketing dashboard is designed to provide an in-depth view of the conversion funnel to help inform marketing decision makings and campaign spend. An SEO Dashboard is a one stop shop for all your web analytics data. An SEO dashboard is a central meeting place for all these data sources so that digital marketers can get a full understanding of SEO performance from a number of perspectives through metrics. 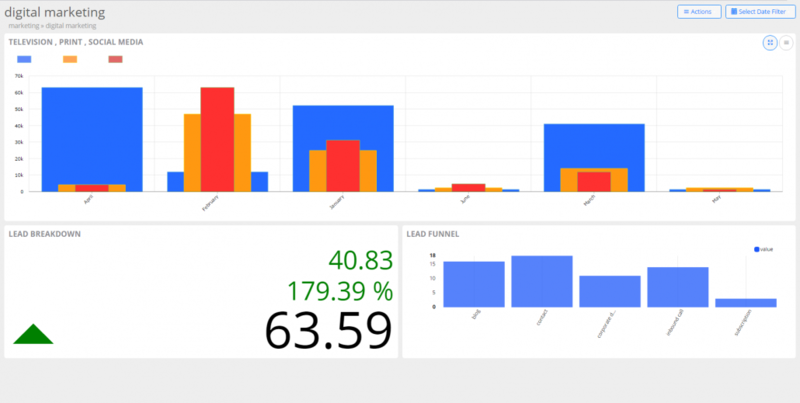 This online marketing dashboard provides an example of how digital marketing managers are tracking their marketing metrics.